South Texas native Deanna Rodriguez has worked in a number of both corporate and state roles during her 18-year tenure with Entergy. In 2012, she was named vice president of regulatory and governmental affairs for Entergy Texas, Inc. a position in which she is charged with focusing on building and enhancing relationships with government officials throughout the state. 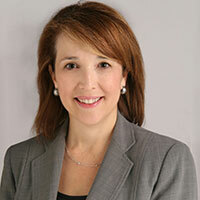 She also coordinates Entergy Texas’ relationship with the Public Utility Commission of Texas. Although based in Austin, Rodriguez focuses time and effort across all portions of the company’s service territory. Formerly the vice president of regulatory affairs for Entergy New Orleans, Inc., Rodriguez has also served as director of external affairs for Entergy Corp., a role in which she coordinated a corporate-wide team seeking post-Hurricane Katrina funding that brought community development block grants to Entergy companies serving Louisiana, Mississippi and New Orleans. Other positions held included vice president of corporate contributions and governmental affairs executive for Entergy Texas. Positions held outside of Entergy include associate vice chancellor of community relations for the University of Texas System and minority affairs liaison for the State Bar of Texas. She holds a master’s degree in public affairs from the Lyndon B. Johnson School of Public Affairs at the University of Texas at Austin and earned her bachelor’s degree in government, also from the University of Texas at Austin.